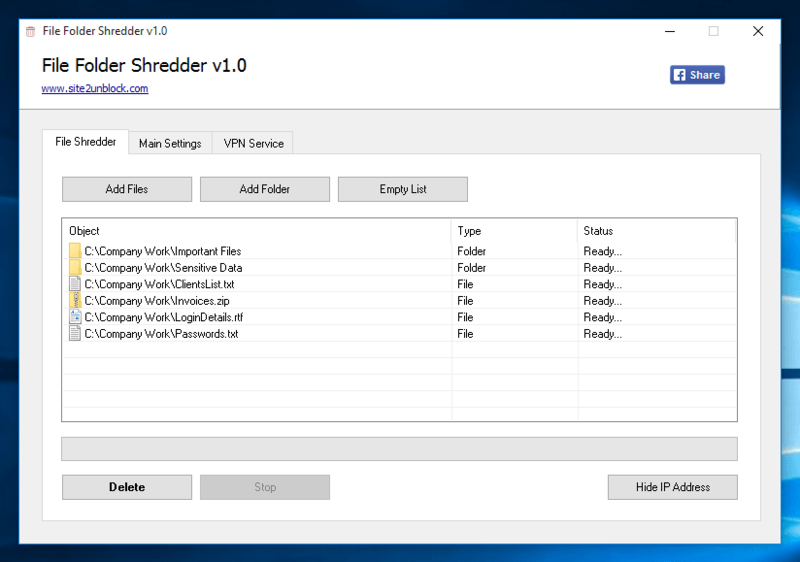 File Folder Shredder is a very simple Windows OS software that helps you permanently and securely delete important files and folders, so they can't be recovered via traditional file recovery software. Select various secure file deletion methods, including Gutmann (35-Passes) and DoD (7-Passes), to permanently delete\shred\erase files on Microsoft Windows OS. You can also add File Folder Shredder to Windows Explorer context menu to quickly delete a single file or folder via the handy right-click menu. This program works fine on Windows XP, Vista, 7, 8, 8.1 and Windows 10 (32\64-bit).